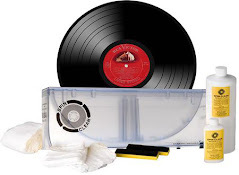 i have been doing this blog for several years and i can't remember not making a post for a couple of days....i always try and get the latest vinyl record news and stuff that interests me posted every day. i apologize for the lacks of posts recently, but i have been quite ill and certainly away for the computer. that said, after some poking, prodding and giving them enough blood to feed a small village of vampires, i am feeling better. 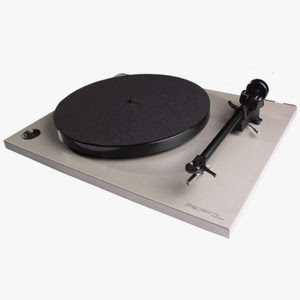 i thank you for your patience and please visit the CVR Blog everyday to see what's going on in the vinyl record world! Vinyl Sales Show Steady Yearly Increase! 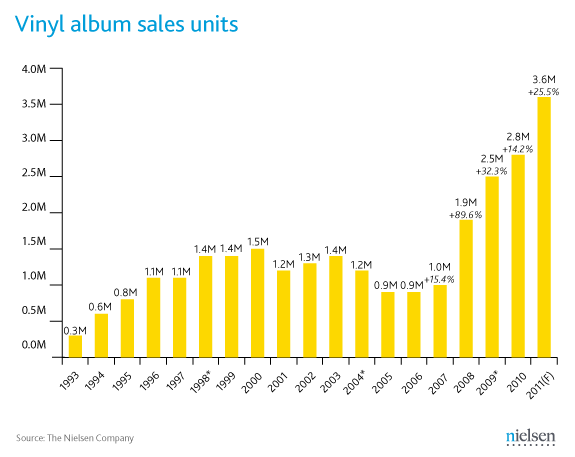 Vinyl sales increased 37 percent in the beginning of 2011 over the same period last year. Vinyl sales also rose 14.2 percent in 2010, although they only accounted for 1.2 percent of physical sales. 2011 saw the most successful Record Store Day in the event’s four-year history. Album sales at independent record stores increased over 39 percent the week of Record Store Day (April 16) from the prior week – an increase of 180,000 units – and 12.7 percent compared to 2010. Rock is the most popular genre of music, with 32 percent album share, while pop music represents 40 percent of all current digital tracks sold. Ninety-three of the 100 best selling vinyl albums in 2011 fall within the Rock or Alternative genres. 2. The Clutters - Under Suspicion 7"
6. The White Stripes - Let's Shake Hands 7"
7. The White Stripes - Lafayette Blues 7"
10. KORT - Please Don't Touch 7"
11. Crystal Stilts / Comet Gain - Working Circle Explosion 7"
18. The New Mastersounds - So Many Pies 7"
23. Cheap Time - Immediate Future 7"
In 1955, Bo Diddley's tune "Bo Diddley" debuts on the US R&B chart on its way to #2. The song will become his most successful record and introduces what will be known as the Bo Diddley beat. Jan and Dean began recording "Little Old Lady From Pasadena" in 1964. In 1966, The Kingsmen's "Louie Louie" enters the Billboard Hot 100 for the ninth time. It only stayed on the charts for two weeks, going to #97. When it was first released in 1963, it made it to #2. In 1968, Paul McCartney and John Lennon were guests on NBC's "Tonight Show" (with guest host Joe Gragiola). Also in 1968, the Rascals recorded "People Got To Be Free", a song written by the group because of the assassinations of Dr. Martin Luther King and Bobby Kennedy. It will become their fourth and final million-selling single. In 1976, 33 year-old Keith Relf, former lead singer for the Yardbirds, was electrocuted while tuning a guitar which was not properly grounded. The accident happened in his West London home where he was found by his eight year old son, still holding the plugged-in electric guitar. His voice can be heard on such British Invasion classics as "For Your Love", "Heart Full of Soul", "I Ain't Got You", and "Shapes of Things". In 1988, Atlantic Records celebrates its 40th anniversary with a star-studded bash at New York's Madison Square Garden. The show features reunions of Led Zeppelin, The Bee Gees, The Rascals, Genesis, Crosby, Stills & Nash, Wilson Pickett, The Coasters, Yes, Foreigner, and many others. In 1993, the acoustic guitar that Elvis Presley used to make his first recordings, "That's All Right Mama" and "Blue Moon of Kentucky" in 1954, sold for $152,000 at an auction in London, England. In 1998, Frank Sinatra died after a heart attack at the age of 82.
lots of birthdays today including Jack Bruce of Cream (1943) the great Bobby Darin (1936), the innovative David Byrne of the Talking Heads (1952), Ian Astbury of the Cult (1962), C.C. DeVille of Poison (1962) and Mike Inez of Alice in Chains (1966), among others.